The quintessential zombie survival mod may well have outgrown its host. 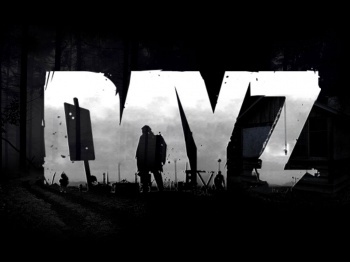 DayZ, the hugely successful open-world mod for ArmA II which has taken the survival horror genre by storm, has amassed more than 440,000 players in a mere three months since its release. Now, it could be about to find new life as a standalone game. Dean Hall, the mod's creator and a multiplayer designer for ArmA developer Bohemia Interactive, mentioned during his developer session at Rezzed in Brighton that DayZ's success has surpassed his expectations. Originally designed as a tech demo for a hundred simultaneous players, the game started out running on just two servers. This has proven to be an immense underestimate of the mod's success, though, with what's now a user base over 400,000 members strong and as many as 22,000 concurrent players at peak times. All that traffic means that the DayZ system requires a bank of a thousand servers. It's not just survivors who have been getting picked off, either, as Hall revealed that five servers have fallen to overheating. In fact, the sheer number of connections mean that the team has trouble telling between denial of service attacks and traffic directed from YouTube videos. Hall cites the growth of the game as one of the biggest challenges currently facing the team - the mod is available for free, so there isn't currently any profit to be made, making server upkeep a struggle. That said, since the mod was released, sales of ArmA II have skyrocketed, which Hall says "sends a really clear message, not just to Bohemia, but also the industry itself." He stated that this spike in sales is the greatest support the mod has had so far, going so far as to say that DayZ could end up outselling ArmA II if it became a standalone game. Having said this, he alluded to the transition from mod to full game, citing a possible Minecraft-style development and pricing structure for the project. During the Q&A session in the latter half of his talk, Hall also announced the introduction of dogs to DayZ. There have apparently been teething problems with implementation as the game sits at the very limit of what the ArmA II engine can handle, but players will soon have the four-legged critters to contend with for resources on top of the other survivors and the hordes of AI-controlled zombies. The mod, still in its alpha phase, is available over at the official DayZ site - but until it gets a standalone release, you'll still need to own ArmA II: Combined Operations to run it.